We’re Back Beginning October 8th. Summer is over and the fall market season is about to begin. Starting October 8th come on out to the Pierce Street Market on the waterfront in beautiful downtown Clearwater, FL. Our award winning sauces will be back along with over a hundred other local vendors offering up some great fresh produce, food trucks, crafts and other great handmade and local products. 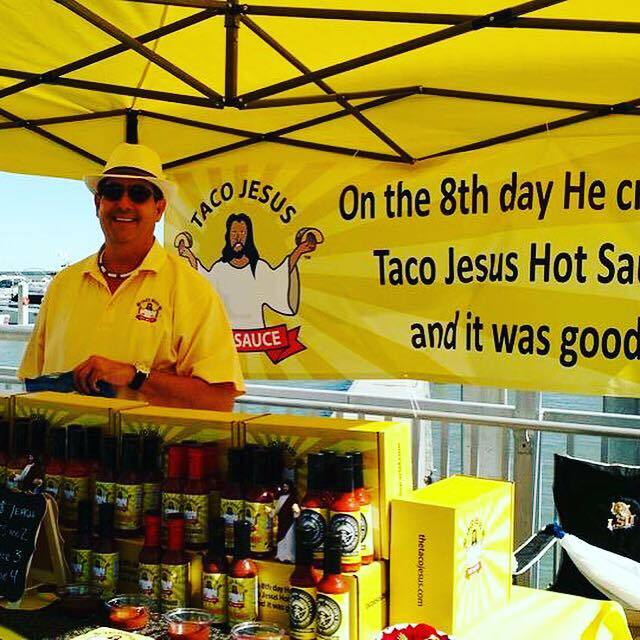 And as always if you can’t make it out to the market in Clearwater our products are available online in the Taco Jesus Hot Sauce Shop. We’ve got some great new products that we will be featuring as we get into the holiday season so check back often as we will have new items appearing frequently over the next several weeks. 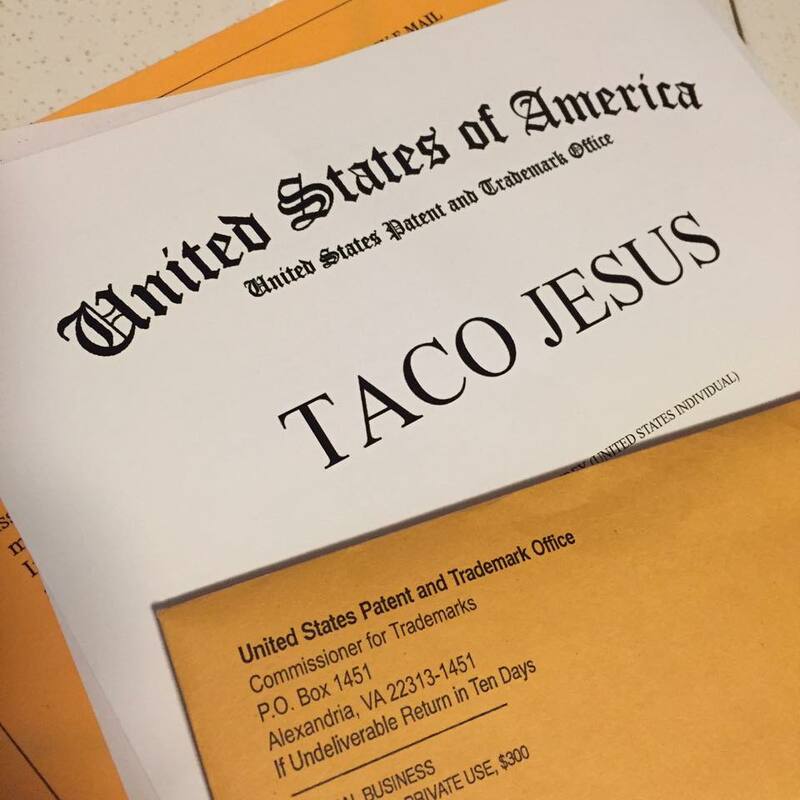 Taco Jesus has been working hard to help make tacos great again, and now you can help us by voting for Taco Jesus. We’ve been nominated in two categories in Creative Loafing of Tampa Bay’s annual Best of the Bay poll. 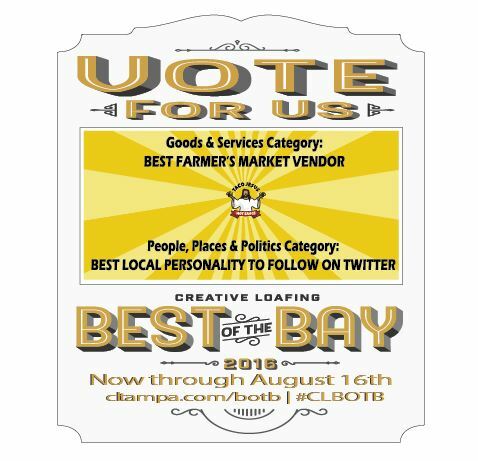 You can vote for us as Best Farmer’s Market Vendor in the Goods & Services Category and we are also nominated in the People, Places and Politics category for Best Local Personality to follow on Twitter. If elected we promise that there will be hot sauce in every pantry and tacos on every dinner table. With your help we WILL make tacos great again! 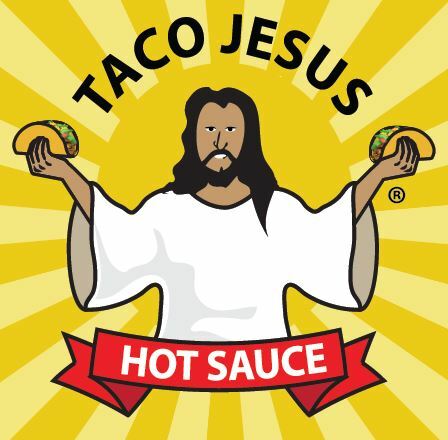 Taco Jesus needs your help and we promise you’ll be happy that you chose Taco Jesus! 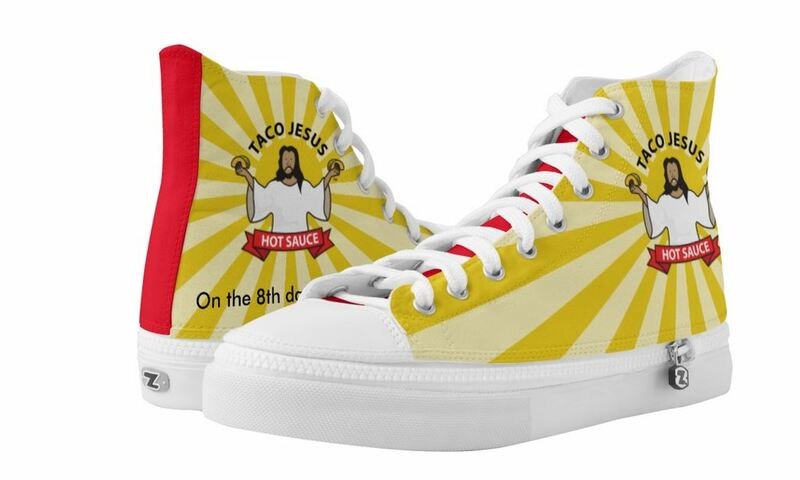 To celebrate our inevitable victory we’ll also be offering an awesome 30% discount in our shop now through the end of voting on August 16th when you use the code “IVOTED” at checkout in the Taco Jesus Hot Sauce Shop. 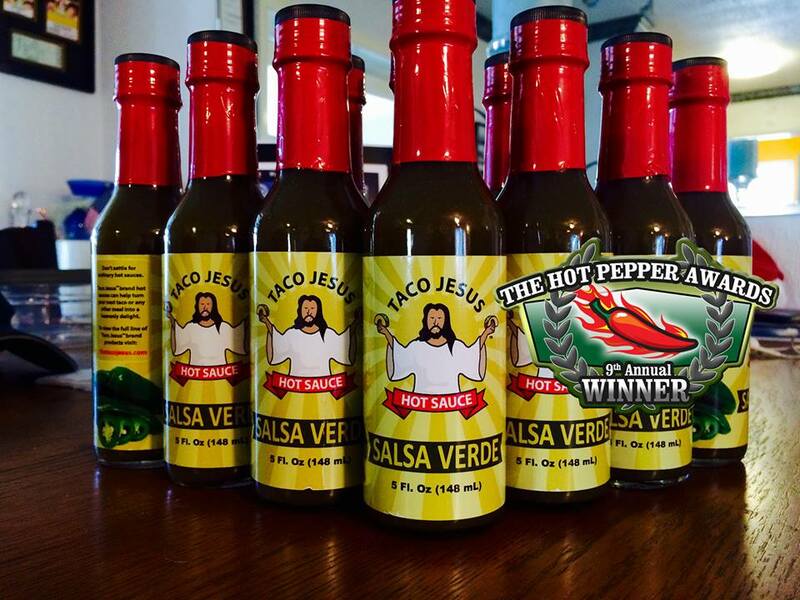 Pick up some of our awesome Salsa Verde sauce that earned two 1st Place Trophies in the 2015 Hot Pepper Awards (Best Mild & 1st Place Savory) and you will get free shipping when you spend $22.22 or more on this or any of our other great sauces and use code FIESTA at check out to take advantage of this exciting offer. 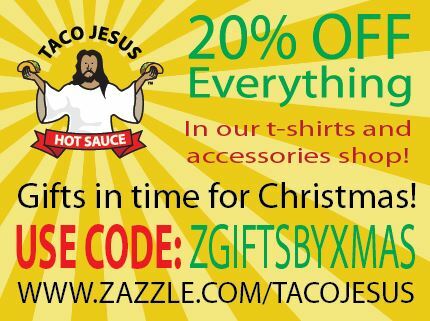 Right now Taco Jesus is ready to help you ring in the new year right by giving your 20.16% OFF of EVERYTHING in the Apparel Shop and the Hot Sauce Shop when you use the code NEWYEARTREAT at checkout. We’ve got some awesome new stuff in both shops, and trust us, you need this stuff!